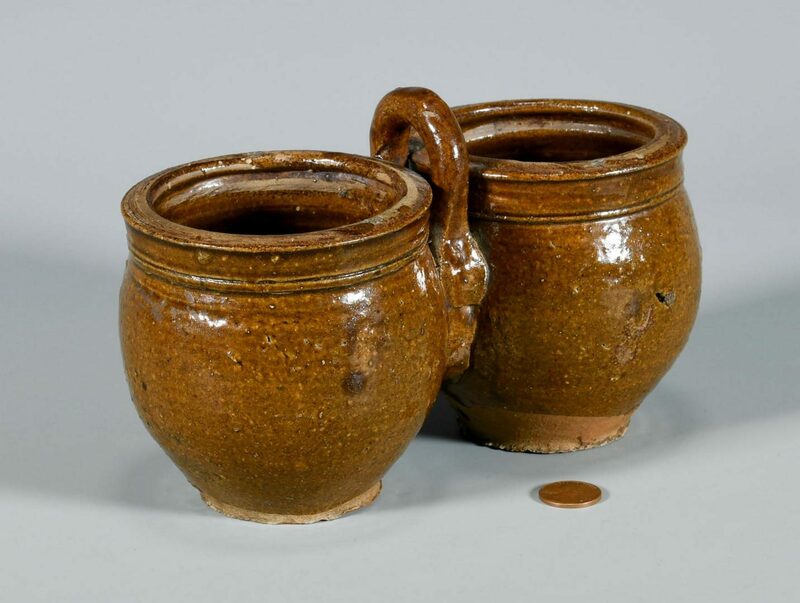 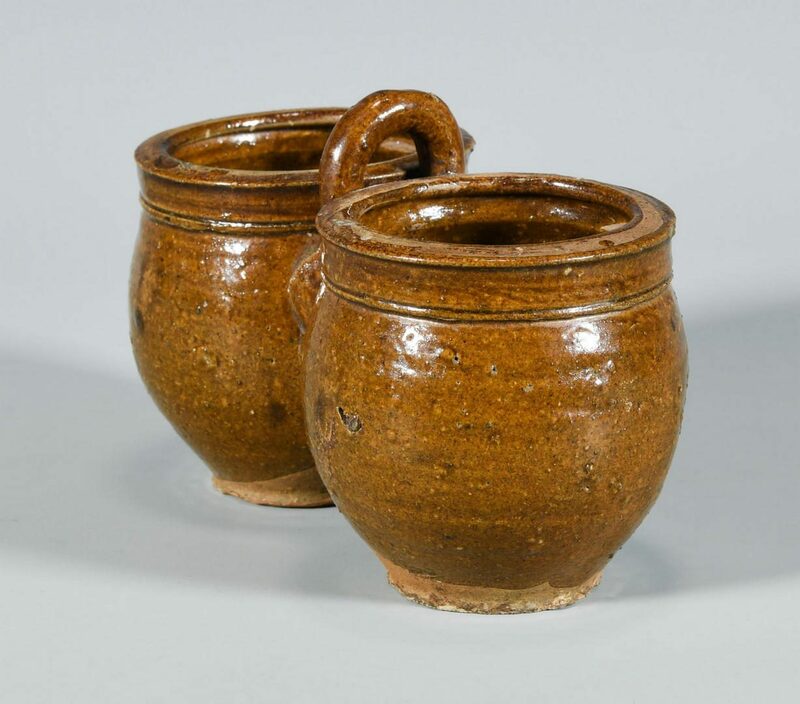 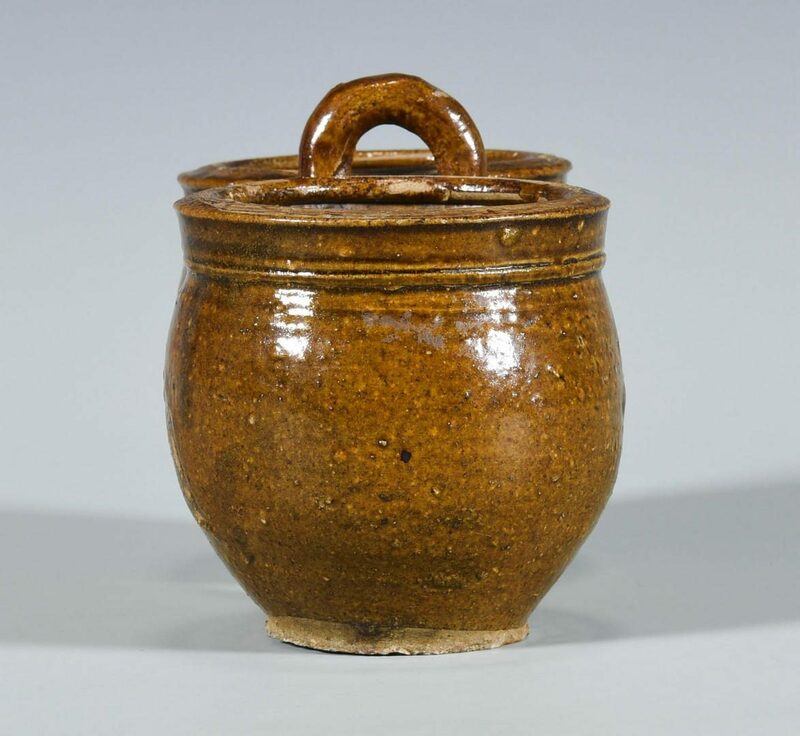 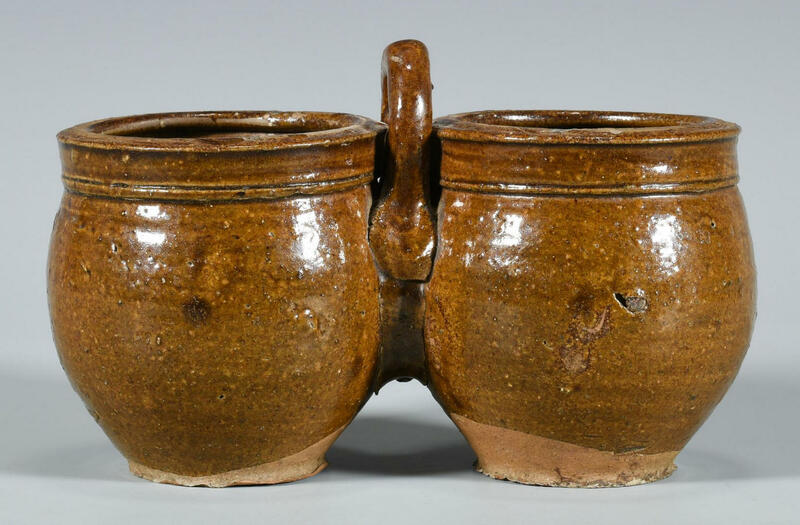 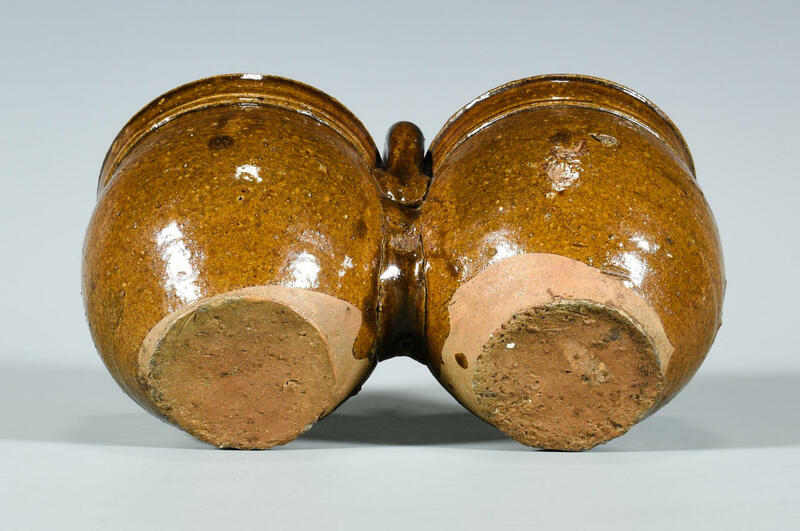 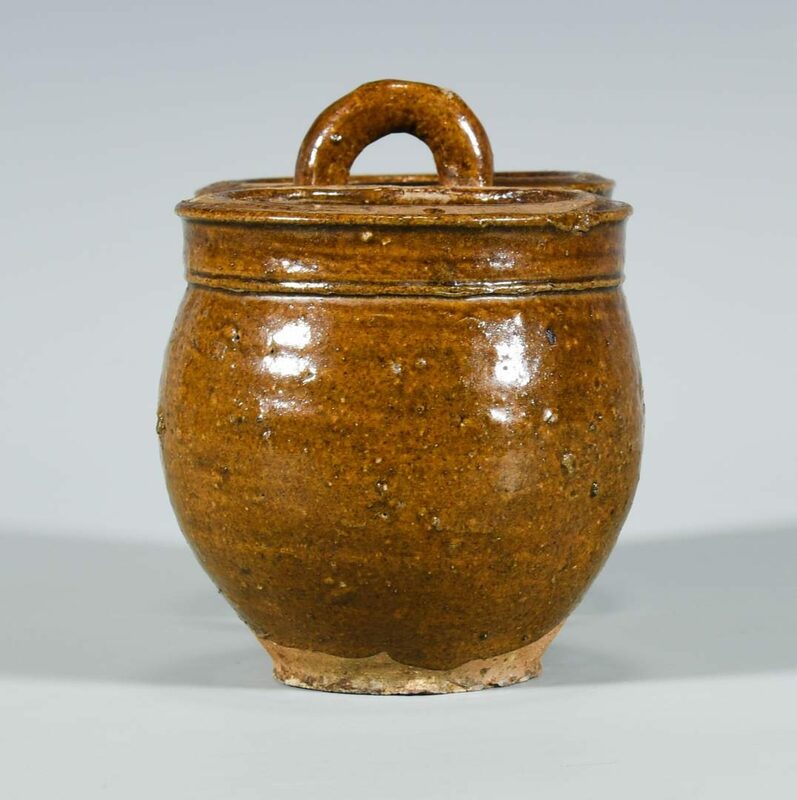 American redware pottery double jar comprised of two small ovoid jars joined together with an arching loop handle and dark brown glaze, lower body and bases unglazed. Most likely Mid-Atlantic or Southern. 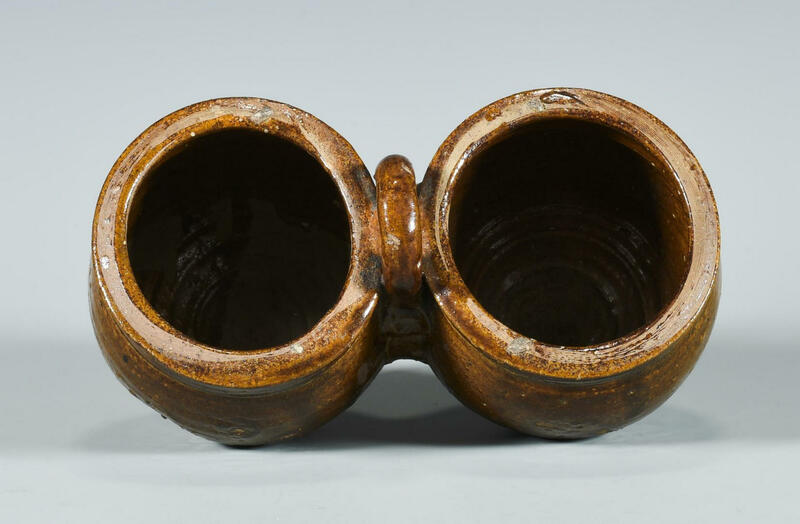 4-1/2" H x 7-1/4" W. 19th century. 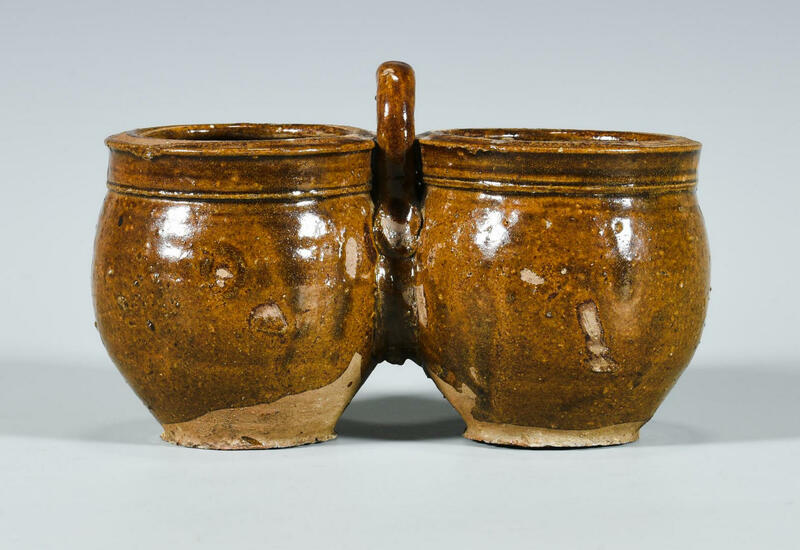 CONDITION: Overall very good condition, some glaze exfoliation to rims and firing flaws to body.